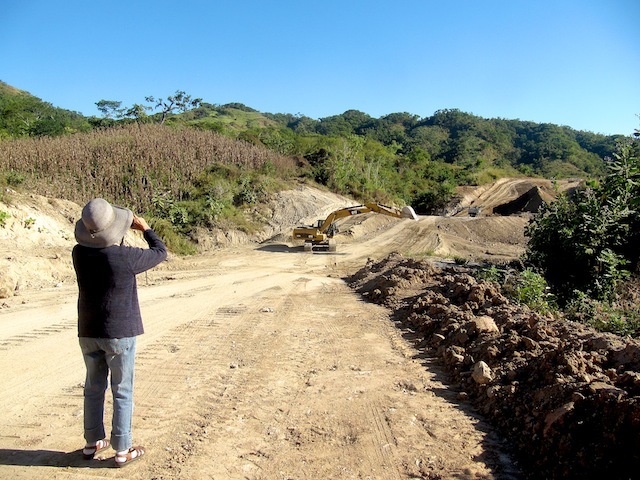 Without any fanfare or public announcements, construction of the 104-km toll road that will connect Oaxaca with the coast, officially began in November, and, if all goes well, should be completed by the end of 2014. 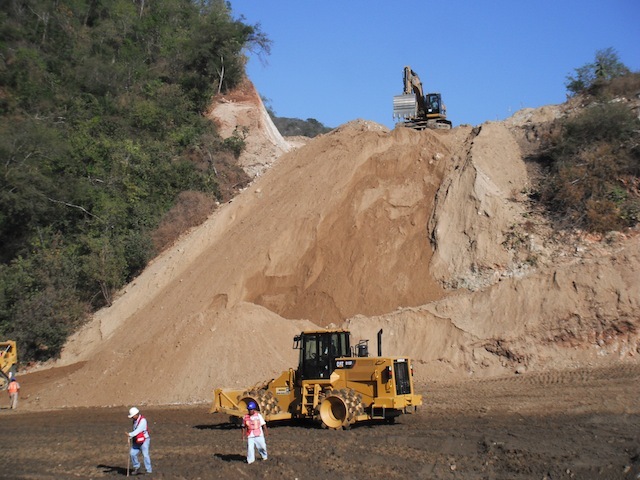 Around 50 earth-moving machines, cranes, and other heavy machinery are being brought into Colotepec, along with hundreds of skilled operators. The work will be carried out 24-hours a day, seven days a week. 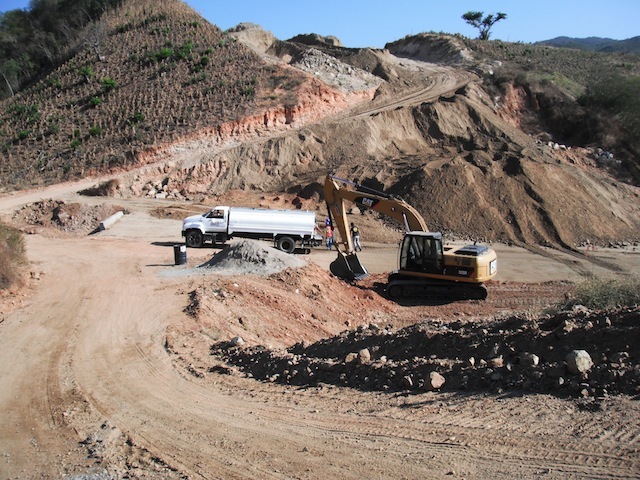 The tops of hills have been dynamited and the soil is being used to fill the valleys. Enormous culverts channel the region’s numerous streams. 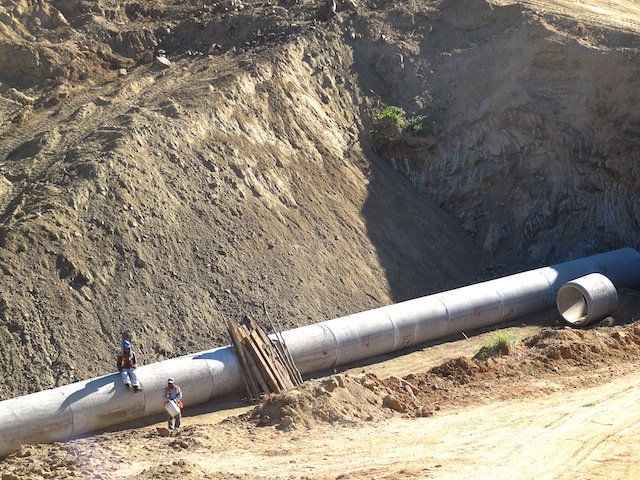 As of December, the service road extends for 21 of the 29 kilometers that will pass through Colotepec, and construction is being carried out on both sides of the river. The 3-lane highway will go from Ventanilla, Colotepec to Barranca Larga, Ejutla. There it will connect to a new 4-lane highway to Oaxaca City. Depending on traffic, it should be possible to make the 200 km trip from Puerto Escondido to Oaxaca in only two hours. It now takes five or six hours going through Sola de Vega. The economic impact of the highway will be huge, both for Oaxaca – which will become a colonial city with a beach — and Puerto — which not only will receive thousands of tourists, but also have access to flights through the Oaxaca airport. The 410 million-dollar-project is being built and financed by ICA, a Mexican construction company traded on the New York Stock Exchange. 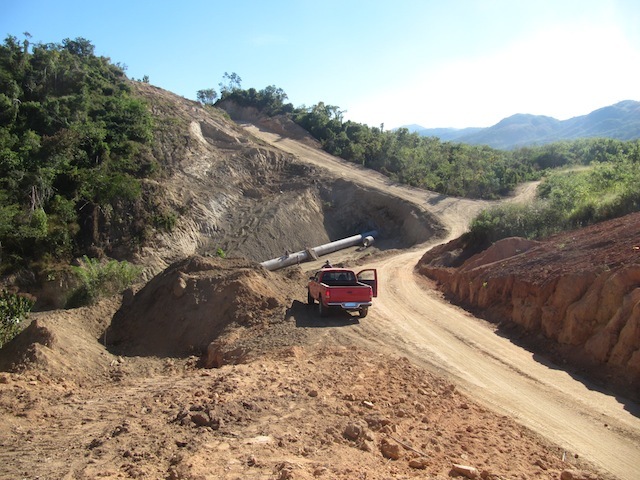 The company has a 30-year concession to operate and maintain the road. It’s anyone’s guess what the tolls will be. ICA is extremely secretive about the details of the highway, it’s not even included on its website. According to the federal tender and other sources, there will be nine entrance ramps: Ventanilla, Colotepec, San Antonio Lalana, San Pablo Coatlán, Santa Catarina, San Vicente Coatlán, San Nicolás, Santiago Yogana, and Barranca Larga. There will also be four or five tunnels, 11 bridges, and at least 33 vehicular crossings. The plan calls for five vehicular crossings in Colotepec, but Juan Pablo Barragán Calderón, the Commissioner of Infrastructure for the municipality, is currently negotiating with the Secretariat of Communications and Transport (SCT) for another crossing on the west side of the Colotepec River.